I am delighted to announce that we have the master drummer,electronic hybrid master and Awesome Good Guy Kaz Rodriguez with us at dD Drums for not one, not two, but THREE WHOLE DAYS! Kaz rocked his performance at our Scottish Drum Fest in 2017 and loved the dD vibe so much he’s scheduled a full weekend of his time to come and share his wicked playing and educational methods with us lucky folks! Kaz will be delivering one on one lessons as well as demoing products from Roland drums and Evans drum heads in store over the course of Thursday 13th to Saturday 15th April. With the weekend culminating in an exclusive to dD Drums “Evening with Kaz Rodriguez” the Saturday night. Thursday 13th April 7pm -10pm – Roland Hybrid Demo. Join us in-store with Kaz and Roland Product Specialist John Pullan for an enjoyable and informative night of how to integrate Electronic drums and percussion into your playing. Kaz is one of the leading experts on hybrid drum kit performance and production, as demonstrated at last years Scottish Drum Fest, there is no better drummer to learn the hybrid ropes from in the UK, so now is your chance. This is a Free event and numbers are limited so please register your interest by email to info@dddrums.co.uk . 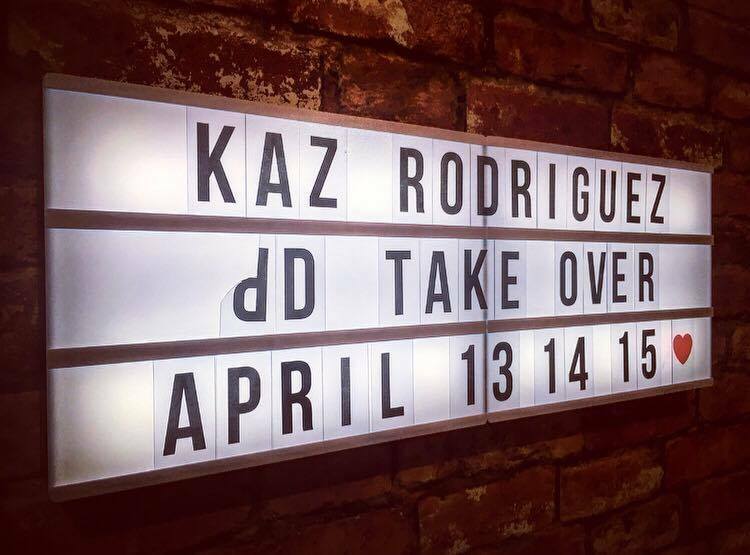 Friday 14th and Saturday the 15th April 10am – 5pm – Kaz Rodriguez One to One Lessons. Book in for a lesson with this exceptional player in our studio at dD Drums. These lessons will be held on acoustic drums in our Live room. We are taking bookings now at £50 per hour. Call us on 01324 628202 to book your space with this awesome player. *Saturday the 15th will also see Ben Aldred from Evans drum heads on hand in the shop hosting a tuning workshop.More to follow on this event. Saturday 15th April 7pm – 10pm. An Evening with Kaz Rodriguez. Join us in-store for this intimate up close opportunity to see Kaz on his acoustic set up. Where he’ll be playing along to his own compositions talking about how he uses Evans heads to create his sound and imparting good advice and motivation to all who attend. Not to be missed! Spaces are on sale now here. Expect a weekend of excellent product demonstration, amazing drumming skills, mind blowing lessons, great coffee and good vibes. Not forgetting an excellent opportunity for you to take yourself and your playing further. Get in touch if you require any further information. Kaz Rodriguez is a lovely guy and an incredible young drummer. Without doubt his chops are amazing to behold and his blistering performances are fast becoming the stuff of legend. Kaz is also a great composer having released his own albums including the acclaimed Fusion Shed Tracks Vol. 2 and has produced tracks on request for the likes of Aaron Spears, Anika Nilles, Chris Coleman, Gerald Heyward, Tony Royster Jr and many more. Kaz also works as a professional session and touring drummer, having toured with of Sinéad Harnett and Jessie Ware among others. 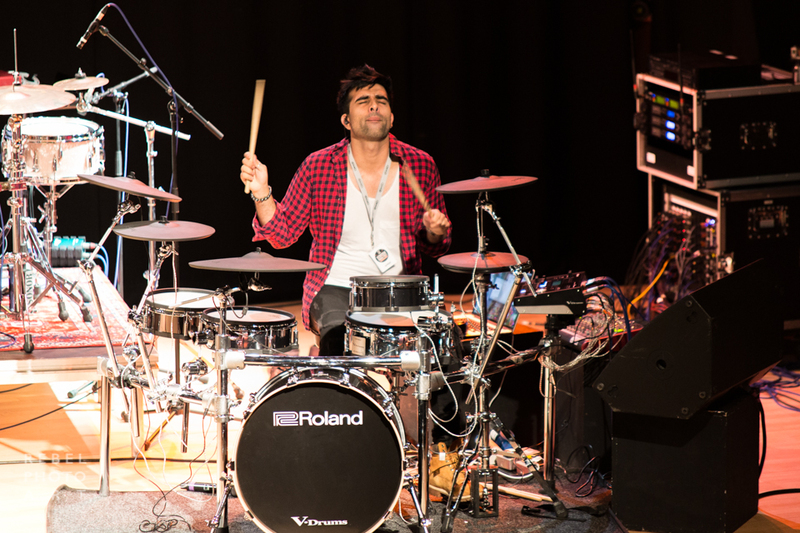 Outside of this already huge workload Kaz finds time to be a teacher, clinician and all round inspiration to drummers performing drum clinics and masterclass performances worldwide for Roland Drums, Tama Drums and Evans Drum heads. 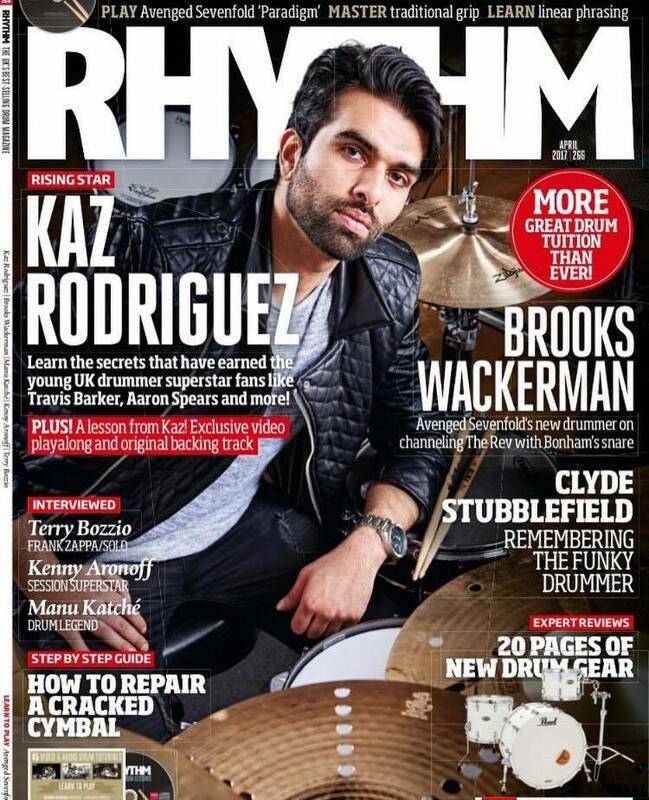 Just this week Kaz made front cover in the recent issue of UK National drum magazine Rhythm. Great to see acknowledgement for this guys amazing abilities.